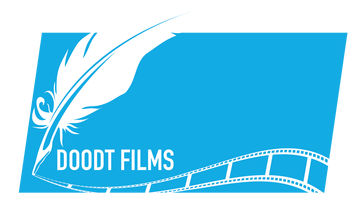 DYPALL - Doodt Films. Ideas. Visualised. This video presents the international training course "Youth Actors in decision-making", held in Rezekne Municipality, Latvia, on 7-13 January 2017. The initiative, organized by Rezekne District Municipality in partnership with DYPALL Network (Developing Youth Participation at Local Level), and co-funded by the Erasmus + Programme of the European Union, brought to Latvia 30 participants, representative of civil society organizations, youth workers, youth leaders, and representatives of local authorities to share, debate and present their perspectives and understanding on youth participation in the decision making processes at local, national and European level. 9 countries were represented, namely Greece, Italy, Macedonia, Poland, Portugal, Romania, Sweden, Turkey and of course Latvia. The activity has been a space for development of competences, dialogue and sharing of experiences among the involved youth workers, local authorities/municipal officers responsible for youth and youth leaders on the areas of youth engagement as well structures and mechanism for participation in decision-making. DYPALL Network is a European initiative created by municipalities and civil society organizations from more than 20 European countries. As it’s in our name, DYPALL Network focuses on developing youth participation at local level, through the development of strategies, building structures and relations of trust and cooperation among actors.